I previously owned the Focal Elear and now have a Utopia as a daily driver and reference headphone. Seeing the Clear’s announcement on Head-fi a few months ago, I was interested in what this very familiar and yet different headphone brought to the table at a price point between the two existing models. First things first, the Clear’s frame looks exactly like the Focal Elear - except grey instead of black. They even weigh the exact same amount at around 450 grams. The differences are in the internals, as while using the same M-shaped dome aluminium-magnesium drivers of the Elear - Focal has made some changes to the voice coil to control driver breakup. The Clear is also 55 ohms, while the Utopia and Elear are 80 ohms. The pads are a huge difference from the Elear. These are micro-suede, perforated pads and definitely give me a more open feeling than the Elear’s did back in the day. Furthering the differences in the Clear as a product, it comes with a hard-shell carrying case alongside three cables. Two of these are 3 metres long, with one terminated in a ¼ inch and the other in balanced 4-pin XLR. 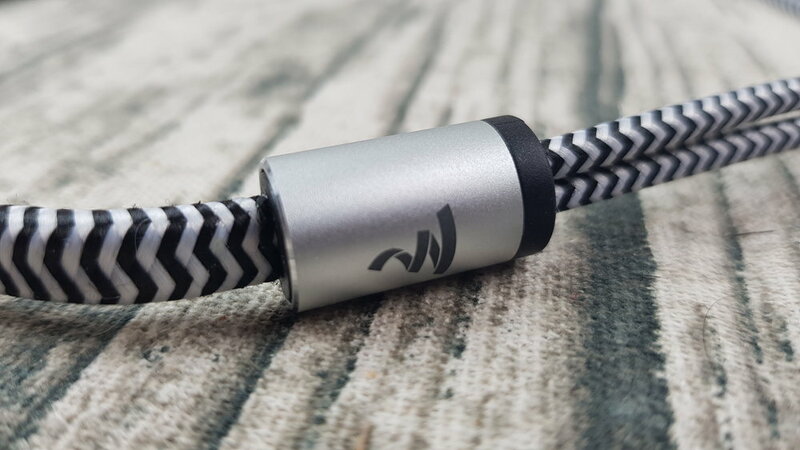 The final cable is obviously meant for portable devices, 1.2 metres in length and terminated in a 3.5mm jack - with a converter to ¼ inch also included. As a guy who bought both the Utopia and Elear, I can’t help but feel a little jealous of Clear owners for getting all these features - as the prior line only got a single very long and very thick cable. The feeling of the Clear’s cables is also quite different, as even the 3 metre ones feel light and the makeup is flat and covered in a zigzagging zebra pattern. As with the others in the line, I found the comfort to be quite stellar. What I found interesting is that it felt considerably lighter than the Utopia, despite the weight difference being a little more than 40 grams. Not only that, but the build seems to have been tightened up a bit - this doesn’t creak or squeak at all when you handle it. It also locks on to my ears and I can headbang with them on if necessary - they simply don’t budge. I wouldn’t dare doing that with the Utopia, which can shift in place at times. I can appreciate the look of the Clear aesthetically, although I’m definitely biased towards the Utopia’s showroom piece design. I do feel that some detractors might single out its identical nature to the Elear as a negative - but I don’t have a problem with that. The micro-suede pads are comfortable on the ears and apparently serve a purpose in shaping what these do versus the Focal’s 2016 line sonically. For the purpose of being thorough, I ran the Clear at moderate-high volume for over 100 hours to burn them in. These are my impressions after this. I must give a little context to my sound impressions here. When I first heard the Elear and Utopia at the London Can Jam 2016, I was really taken aback by how dynamic and hard-hitting they were. The attack on both might have singlehandedly reshaped what I wanted in a headphone, taking me from preferring laid back cans to something with a bit more kick. My first impression of the Clear was that it didn’t seem to have that abrupt attack and power to it, which confused me a little at first. This clued me in to the fact that this was no mere Elear side grade with a pad change, but something that stands apart from its brothers. The Clear is the most laid back of the three and the most even sounding across the frequencies. Focal has done away with the mid-bass heft that was the standard on the Elear, and have replaced it with a smoother transition between the bass and the midrange. The bass itself isn’t especially elevated but maintains a good amount of body to it – but is definitely still a bit lean. Keeping with what I said earlier, it doesn’t hit as hard as the Elear or Utopia, doesn’t extend quite so far and has a slight softness to it that reminds me of the Fazor Audeze LCD-2. The soundstage width of the Clear is in the same realm as the Elear and Utopia - all three headphones are intimate in staging width. While not quite having the awe inspiring staging depth of the Utopia, I’d say that the Clear’s presentation is really quite good regardless with instrument separation being a highlight. I really found this to be the case when I listened to the layers upon layers of guitar work in Guns N’ Roses’ Appetite for Destruction album, for example. The lower midrange isn’t as thick as the Elear, but it retains good body to synergise with male vocals and the lower strings on acoustic guitars. The midrange itself I found to be definitely a bit on the lusher side than the Utopia, which I can definitely see as being more appealing to those who aren’t quite into the idea of an especially dry and analytical headphone. That being said, it isn’t near the Audeze LCD-4 level in this regard and is still in the realm of not being a flavour can. I found listening to rock music especially enticing on the Clear, and I’m not quite sure why. I do find the presentation of distorted electric guitars on it to be a little less realistic than on the Elear and Utopia – but it’s not bothersome. Guitar distortion on the Elear had this rawness that resembled the sound of a live amp, while the Clear instead handles a better blend of all the instruments in an overall mix. The upper midrange sounds less dipped than the Elear, although it isn’t emphasized like on some other headphones. I have to admit, the Elear felt like it fell off a cliff in this region and this was a deal-breaker to. This means that female vocals are considerably less distant sounding on the Clear than on the Elear. This also gives the overall sound a more even feeling in going into the treble, which is well extended but not as emphasized as the Utopia. The treble of the Clear is probably the most laid back aspect of it, in my opinion. I know at least one person who prefers the headphone to the Utopia for this reason, and his favourite headphone is the Audeze LCD-4 - for reference’s sake. It’s not rolled, far from it - but there is a slight veil to it when compared to the analytical, revealing and unforgiving Focal Utopia. I was hard-pressed to find a moment where the treble would become bothersome to me, when listening to well-recorded music. Cymbals popped out as they should, always a useful instrument to listen to when evaluating this region, and there was a sense of openness to the sound that felt unencumbered by any dips or limits set about by manipulation of the highs. The biggest difference I felt between it and other headphones that might be considered an easy-listening experience with controlled treble is that it didn’t sound like a compromise was being made unless you really compared it side by side to a truly open and far-extending headphone like the Focal Utopia. Personally, my own preferences line up with the Utopia - but I don’t hold this against the Clear because it’s doing something different here and appealing to a different audience than myself. What is that audience exactly? I’d say people who want to upgrade from the Sennheiser HD650 but found the Elear’s upper midrange dip and overall presentation to be a deal-breaker. The same people might find the Sennheiser HD800 too wide in soundstage and too bright. This is purely speculation on my part, but I do think that the Clear caters to this market quite well. Is it a Utopia killer, like I’ve seen some people mention online? Not at all as the Utopia’s technicalities are superior, but I definitely see the Clear’s tonality appealing to others. Once my daily driver, the Focal Elear holds a special place in my heart for what it introduced me to back in the fall of 2016. 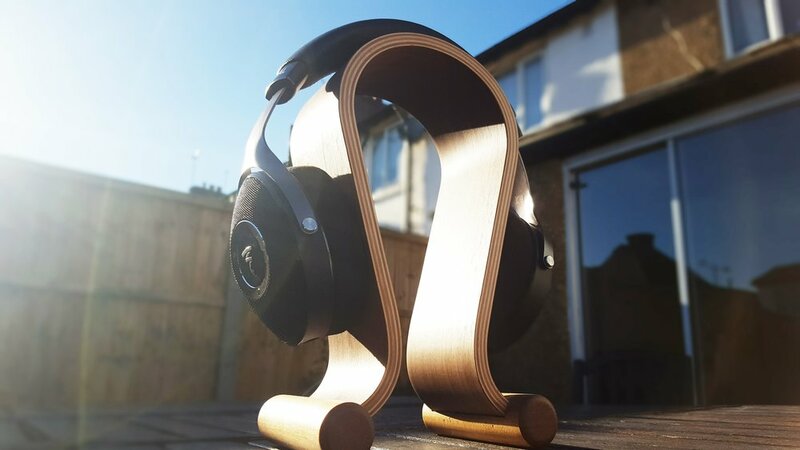 I admit that I reviewed it thinking it would be a widely appreciated headphone, and I really couldn’t see it being anything but. It wasn’t until I joined the online community a few months afterwards that I was exposed to various complaints people had regarding it. That was an eye-opening experience as well, and it taught me to try and visualize a product’s appeal to different preferences of which I am familiar. Also, I kept seeing the Elear being touted upon its unveiling as being a super Sennheiser HD650 - which I can say now is simply not the case. At the risk of sounding like a moron, I’d say the Clear is closer to being that than the Elear by a considerable margin. So where does that leave the Elear today? Simply put, it’s a very punchy and somewhat mid-bassy headphone with decent technicalities in terms of detail retrieval and whatnot. Where it falls apart for many is with its shoutiness and upper-midrange dip. Female vocals sound somewhat raspy and distant on it – something that has body and presence on the Clear. Less emphasis on the mid-bass opens up the Clear to a bit to be compatible with more genres of music – although it may seem downright lean in this region by comparison. Regardless, I certainly would pick this over the Elear for jazz, classical and classic rock. The pacing of the Clear is also slightly more relaxed, with frantic metal recordings having their edge taken off slightly compared to the Elear. Simply put, the Elear is a thunderous experience while the Clear turns that down a bit to bring forth more synergy in places where that take no prisoners presentation isn’t required. That isn’t to say that the Clear is boring compared to the Elear, but the differences are there and I feel it’s entirely on purpose. The Focal flagship is also thunderous, but has a level of resolution that I haven’t heard in other dynamic driver headphones to date - except maybe the Audio-Technica ATH-ADX5000. The upper midrange of the Utopia is more forward than the Clear as well, making stringed instruments have more body and texture. Texture is the name of the game overall to be honest, with it not losing this aspect across the frequencies - making it the most resolving and high-resolution dynamic-driver headphone I’ve heard to date. It’s also very fast in both attack and decay, and actually has a stronger presentation in the bass region than the Clear as well in control and body. One advantage that the Clear does have over the Utopia is its ability to not sound shrill at times, as the Utopia is quite unforgiving of subpar production. Take a compressed pop metal song like In the End by Linkin Park - the Nu-Metal guitars and Chester’s vocals in the chorus sound harsh on the Utopia while the Clear keeps them under the wraps a bit. Any other advantages will depend on the listener to be honest. I know for a fact that the Utopia’s commanding presentation can be fatiguing to some because it constantly demands your attention. The Clear doesn’t do that; it’s very engaging but it doesn’t cross that line. Even the Elear crosses that line, by comparison. The vast difference of the price makes sense to me as the Clear’s technicalities are closer to the Elear than the Focal flagship. Its imaging, while stellar, doesn’t enter the Utopia’s realm of intense accuracy. Comparing the two, I needed time to adjust because switching the Clear from the Utopia gave me the sense of the music being slightly veiled while switching from the Clear to the Utopia gave me the sense that I needed to get used to the hard hitting crashing down of each snare hit, among other things, that the Utopia presented in its exposing manner. The Clear is really easily driven. At 55 ohms, I was able to power this with the Hiby R6 digital audio player easily, along with my phone. It does scale however, and I was able to pick out familiar differences while tube rolling on my Dragon Inspire IHA-1 tube amplifier. That being said, I wouldn’t say it was as revealing as the Utopia at this. I also ran it out of my Audio-GD NFB-28 amp section and that’s just overkill with its high output. People running OTL tube amplifiers should beware however, such low impedance will be problematic with high output impedance sources. I do quite like the Focal Clear while realizing that it isn’t a headphone targeting me. As I mentioned before, the speed and accuracy of the Utopia is an experience I find exhilarating and kind of near-necessary now in my daily listening - and the Clear doesn’t quite do that. What it does do, however, is pulled off really well – once you figure out its purpose and its audience. When put alongside its siblings - its more laid back and even approach is worth commendation for identifying and catering to a new market. I can even see this being more of an all-rounder, to some, than the Utopia - particularly to those who would find the flagship overwhelming and kind of fatiguing after a while.